Sign the online petition Please include your name and your reasons for supporting this cause. Please note where it asks for a donation, this is neither compulsory nor anything to do with this campaign – the donations go to the site hosting the petition. 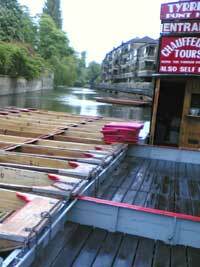 Boycott Scudamores Punting Company – they are the driving force behind what the council are doing so let’s hit them where it hurts, in their pockets. In order to help cover the costs of running this campaign we may from time to time run some adverts from sponsors on this site. We will always endeavour to make these as unintrusive as possible. Please help support our campaign by clicking on these from time to time. It costs you nothing and helps us keep the fight going.